Q STREET, OLD TOWN MILLARD — Millard South volleyball coach Jaisa Poppleton will talk a mile a minute about the love she has for her Patriots. 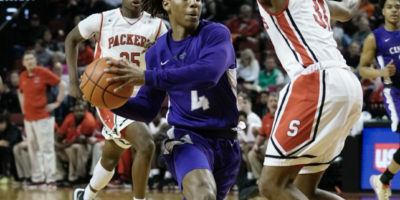 As the state tournament begins today, they’ll be the feisty, scrappy seventh-seed that has gone through plenty just to get to Lincoln. So, if you think that playing second-seeded and second-ranked Lincoln Pius is going to phase them, you might have another thing coming. Man, does Poppleton love volleyball. And, she’s a got a player that exudes that love as well. If you knew just what playing volleyball meant to Claire Larson, then you’d know why these Patriots are having so much fun. “We’d like to go down there and prove everybody wrong,” Larson said. In a way, maybe they already have. It doesn’t take long to search the NSAA website and find the the volleyball “history” in the Millard district belongs to Millard North and Millard West. For the first time in district history, though, Millard South is joining them at the state tournament. North is 35-2, top-ranked in Class A. 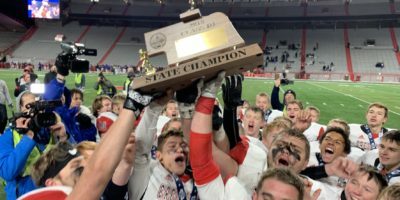 They are making their fourth straight appearance and looking for a third consecutive title match after winning Class A in 2016 and losing to Omaha Marian in last year’s final. West is 21-9, the fourth seed in the class and making their eighth straight trip to the state tournament. And, the Patriots? Made it to state twice this decade: 2007 and 2014 when Poppleton’s mom, the great Joanne Pappas was coaching the Patriots. Her daughter, who won two titles for mom at Bellevue West, took over the following season. Yeah, Millard South’s last win at state volleyball was in 1984. Jaisa Poppleton’s summer wasn’t off to a good start. She had already lost her three-year starting setter, Jaicee Stinson, for the season after she suffered a torn ACL during the Patriots state championship basketball season last winter. The coach had summer “Setter Academy” to find a setter for the season and 5-8 freshman McKayla Fleming emerged. 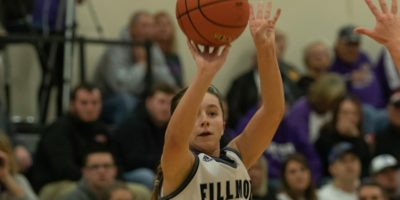 “When we started the season, she was 13,” Poppleton said with a chuckle, knowing that Fleming could have been an eighth grader. 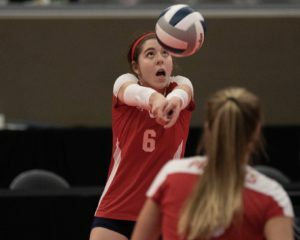 The migraines started in May, just after Claire Larson broke her ankle playing club volleyball in Colorado. They wouldn’t go away, the pain was excruciating. Claire’s mom, Jeannine Adler, works at Children’s Hospital in Omaha and doctors there thought it would be a good idea to get Claire in for some scans. The results were scary. Larson had a cholesteatoma — a benign tumor in her brain. Most of the time, they can be surgically removed, but the location of Larson’s tumor — near her corroded artery and optic nerve — almost ruled surgery out from the beginning. “I was freaking out,” Larson said. More scans. Meeting with surgeons. They looked at just about every option. They opted for a heavy dose of steroids and antibiotics in an effort to shrink the tumor. It only made things worse. Claire couldn’t stomach the medicine, literally. There was no change in the size of the tumor. But, she attacked ankle rehab during the summer with Stinson, who will be her roommate at Hastings College in the fall, and by August she was physically healthy. And, then, when the steroids and antibiotics wouldn’t work, Claire Larson found her medicine: the gym at Millard South and the support of her teammates. Through 16 games, the Patriots were 8-8. The schedule was brutal. Fleming was playing very well, according to her coach. Stinson was cleared to come back on September 18th, so they slowly worked her back in the rotation. They won six in a row, the lost four in a row. The 6-2 offense that Poppleton loves wasn’t for either of her setters. So, with their season in the balance — the Patriots were 20-12 and playing in the second round of the Metro Tournament against Millard West — Poppleton switched offenses down a set and tied 11-11 with the Wildcats. She gave the reins to Stinson full time. The Patriots took off on a sprint. They came back to beat Millard West and knocked off Elkhorn South in the semifinals. They took Millard North to five sets in the championship game. They swept through their district, beating state tournament bound Papillion-LaVista South in the A-7 final. 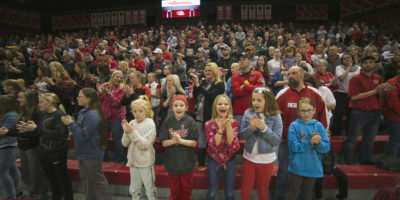 “They just play their guts out, everytime they are on the floor,” Poppleton said. It’s been a season that Poppleton or anyone associated with Millard South volleyball will not ever forget. Larson has been on varsity since she was a freshman. 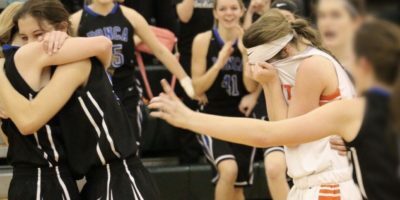 “I am not real sure if I ever thought we’d be able to make it to state,” she said, matter of factly. 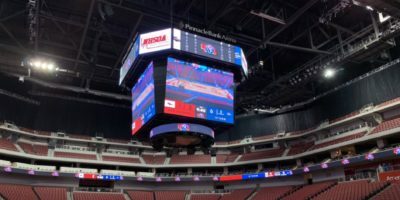 But, if you look at the program when you get to Pinnacle Bank Arena on Thursday morning and you’ll see Claire Larson from Millard South. Number 6. 533 serve receptions. 377 digs. 139 kills. 56 assists. 35 ace serves and 8 ace blocks. That’s the story that doesn’t even matter. Sure, she’s not out of the woods yet, but the news is getting better. A specialist at the University of Iowa thinks it may be a cyst that can shrink over time and they’ll take precaution to check for any growth every three months. But, she’s found a new love for volleyball. That’s what volleyball has been for Claire Larson — the perfect medicine.